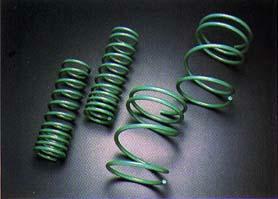 TEIN S.TECH Spring is an excellent step towards suspension tuning. They offer approximately a 1.5 inch drop for a more aggressive appearance. Comes with a 1 year limited warranty. Spring length is guaranteed not to sag more than 5mm and to be clear of any manufacture defects.